David Hauser brings to the firm over 40 years solid business and operations bench strength. He began his career in the entertainment business with Ice Capades. Moving up the ranks he accepted increasingly responsible duties reaching the position of Vice President of Operations. He was responsible for budgeting and managing the production facility, the refrigeration operations and the day-to-day operations of three traveling Ice Shows in North America. As the Western Regional Vice President of Ticketron David spent two years directing expansion into new entertainment facilities and markets while overseeing the sale of tickets through telephone and remote outlets. While at Metromedia Technologies, he served as the Vice President and General Manager of the Los Angeles facility. He was responsible budgeting and directing the operation of graphics and the production facility in L.A. During the nine years at Metromedia Technologies, the nation's largest producer of computer painted outdoor graphics, he also contributed to the successful opening of new plants in Australia and the Netherlands. Dave's most recent internal corporate position was President and CEO of Guest Informant, the nation's largest producer of hard cover city information books distributed in hotel rooms in 33 cities. David was responsible for returning the core product to a hard cover publication, expanding the internet to include revenue sharing, and the expansion of Guest Custom Publishing. 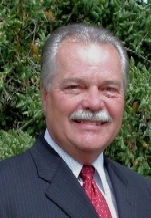 Dave is known for his active involvement in numerous community and corporate organizations including the City of Santa Clarita, the Los Angeles County Sheriff's Department, and serves as a board member for the U.S. Foundation for Historical Monuments. David and Laura reside in Santa Clarita. They have two grown children and two grandchildren.